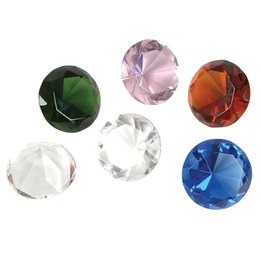 Home Products Imitation crystal diamond 1.6"
A cute gift or party favor. These imitation diamonds look just like the real thing, and make for dazzling fashion fun. Each dozen in blue box.